of their identity because they are deprived of their traditional role as breadwinner and head of the household. Less is expected of women and so they are much more flexible when it comes to choosing a career. Furthermore, in the post-industrial society more and more traditionally male jobs are being abolished. The FFC presented participation in the performance as an experiment and an adventure, but also as a therapy to overcome gender problems. They firmly believe that art can help people, and invited the participants to use their situation to try and adopt a different state of mind. According to the FFC, the loss of a job can be revolutionary. After all, at times when we are in fixed collocations/obligations/ positions, sometimes the opportunity presents itself to reinvent our identity and start over again. 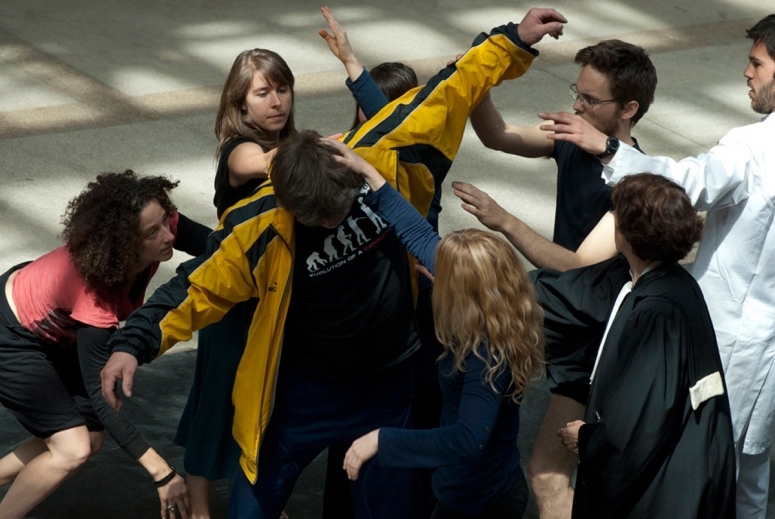 A discussion phase at Genk Cultural Centre and auditions for choreographer and ballerinas were followed by the preparatory phase for the performance in the Waterschei mine building in April 2010.